Every now and then, we like to suggest some up and coming Kenyan musicians whom you should keep an eye out for because we believe that they have so much potential. Today, we are featuring a beautiful lass who is known as Patricia Nyambura, alias Trish (make sure you remember this name). Although she’s just starting out, we believe that it’s only a matter of time before she becomes a household name. Trish has been in love in music since the age of 4. She participated in a number of music competitions when she was still in kindergarten. Yes, you read that right, she has been singing since nursery school! What were you doing then? When she moved to primary, Trish joined a band where she played the guitar and sang. In high school, she joined the school choir and got to learn more about music. Somewhere along the way it dawned on her that she should pursue music as a career. And she said went for it. She recorded her first single dubbed I Need You when she was in Form 3. Trish then took a break to focus on her studies. After finishing high school, Trish crossed paths with BhB Godwin – the brains behind Egobdus Worldwide Music. A few days ago, she released her first single under the stable dubbed Drop Down and it’s getting good reviews on YouTube. If her first official release is this good, I could not help but imagine what her successive projects will be like. What struck me most about Trish is her vocal prowess. She has a mellow voice that you want to keep listening to over and over. It’s so sweet, it makes you wish her songs were longer. Watch Drop Down below and tell us what you think. 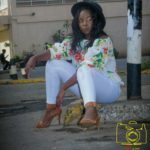 The post Meet Trish, the new Afro-pop sensation who is carving a path to greatness (Video) appeared first on Ghafla! Kenya.